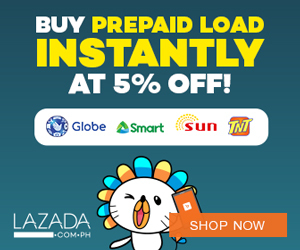 This blog features Air Asia Promo Fares 2019 to 2020 and other Red Hot Sale as well as Piso Sale. click: LIKE US ON FACEBOOK FOR MORE PROMO UPDATES! 1. Promo is open to all AirAsia and AirAsia Zest travellers, Facebook Fans and Twitter Followers of Philippines’ AirAsia and AirAsia Zest, ages 18 years old and above. Contest is organized by AirAsia Inc.
2. Contest will start on 15 Jan 2014 (22:00 hours GMT+8) – 19 Jan 2014 (22:00 hours GMT+8). During the contest period, fans & followers who will take a photo with any AirAsia Zest collaterals during the Sinulog Festival in Cebu and upload it via Facebook, Twitter & Instagram with the hashtag #AirAsiaZestinSinulog will get a chance to win FREE SEATS for two (2) to any AirAsia Zest destination. Please see item #6 for list of collaterals and events where AirAsia Zest will participate. 3. There will be three (3) winners of ROUNDTRIP SEATS for two (2) inclusive of 20 kilos baggage allowance, applicable fuel surcharge and administration fees (non-inclusive of terminal fee, administrative fees, meals & hotel accommodation). b. Representatives and/or agents (including advertising and promotion) of the Organizer, Airasia Inc., AirAsia Zest, AirAsia Berhad, P.T. Indonesia AirAsia, Thai AirAsia Co., Ltd., AirAsia X Sdn. Bhd. and Go Holiday Sdn. Bhd. and other affiliates of the Organizer. 5. By submitting entries for the contest, it is agreed that the Participants signify acceptance and agreement to all terms and conditions of the contest. a. Participants should follow @AirAsiaPH on Twitter & like @AirAsiaPhilippines on Facebook. Non-followers will be disregarded. 7. The winners for the Contest will be announced on 21 Jan 2014 via Twitter & Facebook and shall be contacted via direct Message (DM) and/or Private Message (PM) then email, telephone, post or any other mode of communication deemed appropriate by the Organizer. 8. The period for use for the Prize is only valid from 1 June – 30 November 2014. 9. Except as otherwise stated in these terms and conditions, the Prize do not include applicable flights, transportation to and from airports, travel insurances, meals, excess baggage allowance, taxes, administration fees, additional hotel charges and other costs of personal nature incurred by the winner(s) and/or guest(s) in connection with the use of the Prize and the winner(s) and/or guest(s) shall be solely responsible for any payment of the same which are payable in connection with their use of the Prize. 10. Where applicable, the winner(s) and guest(s) are responsible for obtaining all entry, exit, health or any other governmental requirements and / or other documents required by the country of destination and are required to have all necessary travel documents (including but not limited to valid passports and visas) at the time of departure. The Organizer will not be responsible for any failure of the winner(s) and their guest(s) to fulfil any requirements, terms and conditions for traveling to the country of destination and/or in connection with use of the Prize. 11. The Organizer (including its respective employees, staff and agents) shall not be liable for any loss (including loss of opportunity and consequential loss arising therewith) and/or any damage suffered by any Participant and/or winner in connection with the Contest or the Prize. Participant/winner shall hold the organizer, its directors and officers free and harmless from any claim damages, liabilities in connection with the participation in the contest. 12. The winner and winner’s guest shall be bound by the terms and conditions of the Prize upon the winner’s receipt and/or acceptance of the Prize. 13. The Prize is not exchangeable and/or transferable. Failure to accept any Prize by any winner when required or as notified to do so by the Organizer shall constitute a rejection of the Prize by the winner and the Organizer reserves the right to award the relevant Prize to another winner. 14. The Organizer reserves its rights to publish and/or display the materials or information received from the Participants, including but not limited to the names and photographs of the Participants for marketing, advertising and publicity purposes in any manner it deems appropriate and use any personal data of the Participants in any manner and/or for any purpose it deems fit, and the Participants are deemed to fully consent to the same with no monetary payment. 15. The Organizer reserves its right to cancel, terminate or suspend the Contest at any time with or without any prior notice and reason. For the avoidance of doubt, cancellation, termination or suspension by the Organizer shall not entitle the Participants to and the Participants shall not initiate any action, proceedings, claim or compensation against the Organizer for any and all losses or damages suffered or incurred as a direct, indirect, incidental and/or consequential result of the act of cancellation, termination or suspension by the Organizer. 16. The terms and conditions of the Contest shall prevail over any inconsistent terms, conditions, provisions or representations contained in any other promotional or advertising materials issued in relation to the Contest. 17. The Organizer reserves its right to vary, delete or add to any of the terms and conditions of the Contest and/or substitute or replace any of the Prizes from time to time without any prior notice or reason. 18. By participating in the Contest, the Participants agree to hold harmless, defend and fully indemnify the Organizer, its directors, employees, personnel, representatives and agents from and against all losses, damages, expenses and all third party actions, proceedings, claims, demands, costs (including without prejudice to the generality of this provision, the legal cost of each other), awards and damages arising as a result of the Participant’s entry in the Contest. 19. By participating in the Contest, the Participants are deemed to agree to be bound by the terms and conditions of the Contest upon the submission of their entries for the Contest. The decisions of the Organizer in relation to every aspect of the Contest including but not limited to the types of Prize and the selection of winner shall be deemed final, conclusive and binding and the Organizer will not entertain any complaints in respect thereof under any circumstance. Air Asia Zest Is HIRING!!! Air Asia Zest Promo P88! Air Asia Promos 2014: 75% Off on all Fares! 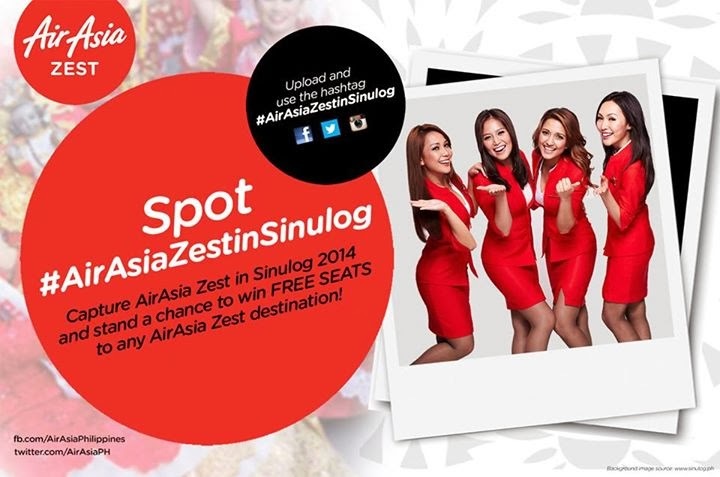 Air Asia Promos 2014: Katorse Para sa Lahat!